We humans have been drinking all sorts of milk every since we were born. 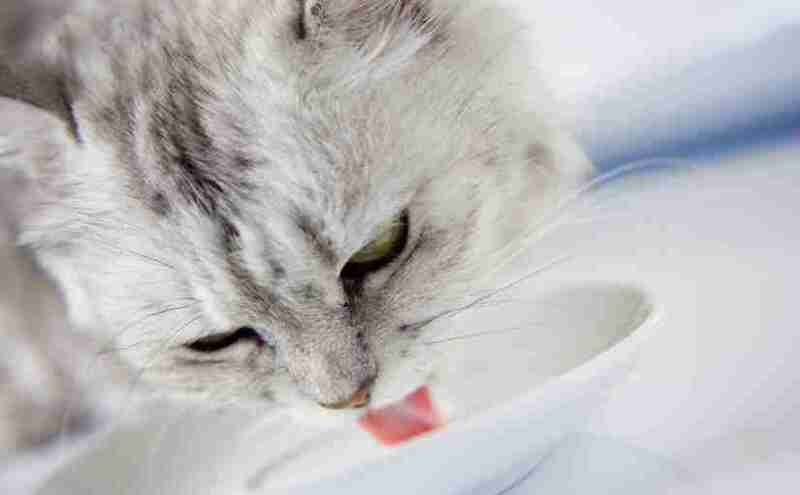 We’ve seen in cartoons and seen pictures of cats drinking milk, but can they really drink it? Hold up, because like us humans, many cats and kittens are lactose intolerant. This means that they cannot digest cow’s milk properly and they get diarrhea or gastric upset when they drink it. Kittens that become lactose intolerant usually only become intolerant after they are about 3 months of age, so their mother’s milk shouldn’t cause any gastric upset unlike any other variety of milk out there. If you’re thinking of having your cat serve as your emotional support cat, you should ensure that you take good care of it. Is It Safe To Give My Cat Milk? A common belief among most cat owners is that milk is good for cats. While there is some truth to this convention, what most people do not know is that not all milk is good for your cat. As much it supplements your cat’s dietary needs, constantly feeding your cat milk does more harm than good. See, ordinary cow milk is very rich in fats. A cat’s digestive tract can only successfully digest a limited quantity of fats at a go. A saucer of milk only leaves your beloved pet with stomach upsets, cramps and in some extreme cases, violent diarrhea. In kittens, diarrhea can lead to death as a result of dehydration. What Happens If I Give My Cat Some Milk? Are Cats Allergic To Milk? Lactose-intolerant cats can suffer from drinking milk, and a lot of adult cats are lactose-intolerant, so after consuming some milk, these cats could be left with an upset stomach, or diarrhea. A cat that only subsists on milk is also likely to die because of lack of nutrition in this cat’s diet. It might make sense that something a cat likes in smell or taste is most probably good for a cat. If you think about it, humans (including babies and children) also like the taste of sugar, and yet sugar is known to have very bad side effects, especially when consumed regularly and in considerable amounts, in sodas, candies, juices and desserts. From a biological perspective, it makes sense for cats to like the taste of milk because cats are also mammals with mammary glands that produce milk, and kittens drink this milk; cow’s milk (unless ultra-pasteurized) is not ideal for cats. If your cat is not lactose-intolerant or you wish to give your cat some milk from time to time, consider giving your cat some Cat Sip, which is a brand of milk that is taurine-fortified and “ultra-pasteurized”. A cat’s digestive system will be able to process this milk without any problems. Science Focus says that milk is good for cats if it has a lot of fat in it (like the cat mother’s milk), but the milks sold in stores don’t have much fat which is why it’s difficult for cats to digest. Without Milk, How Are Cats Supposed To Be Hydrated? 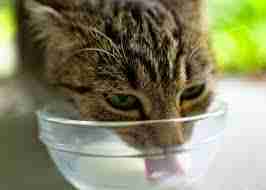 Vets recommend giving your cat fresh, clean water in place of milk. Clean out her saucer and fill it up with water. This will keep her hydrated all day long. In the long run, the advantages of water to your cat’s body far outweigh any benefits it would have obtained from a saucer of milk. Lactose-reduced cow’s milk is also an option for those cat owners who must absolutely give their cats milk. Lactose is the natural sugar contained in milk. It is digested by enzyme lactase, which is absent in lactose intolerant cat’s digestive systems. If not broken down, lactose cannot be absorbed into the bloodstream. It remains in the cat’s intestines, where it attracts gut bacteria. Once fermentation sets in, flatulence occurs, leaving your pet cat bloated and in pain. To avoid all this, cat owners are advised to purchase lactose-reduced cow’s milk. It is readily available at pet stores, supermarkets and vets offices. It is easily digestible, and can be fed to both kittens and fully grown cats. Don’t Cats Need Calcium Though? Calcium is an essential mineral salt whose benefits to the body include strengthening bones and teeth. Calcium deficiency leads to weakening of bones and falling off of teeth. Since milk is rich in calcium, most cat owners’ main concern is a new source of this vital mineral salt. Other components of your cat’s diet contain just as much calcium as milk does. Raw meat, for instance, has a high calcium content. According to VetStreet, your cat doesn’t gain any nutrients from milk. Lastly, you can always go to a local pet store and purchase cat-friendly calcium supplements. While we all love and value our pets, whether its cats, dogs or any other animals. It is worth noting that their well-being should be one of our main priorities. Remember that when we like and take care of our cats, our cats are there for us and love us too.